Myths about accident and personal injury cases. If you write the insurance company a letter and are reasonable, you will get a reasonable settlement proposal. 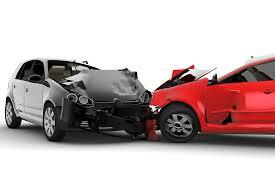 When you are in an accident and the insurance company calls you to ask for a recorded statement, you have to give them a recorded statement or they wont settle with you. All lawyers who advertise that they handle accident cases have the same ability, tools and experience to handle your case. The insurance company for the person who hit you is obligated to pay your medical bills as they become due. Have you heard any of this before? If so, get a copy of our e-book, The Ultimate Guide to Accident Cases in the DC Metro Area, for more information on accident cases. For more information on accident cases feel free to check out our other books and guides in our Books, Guides, and Reports section of our website. For any question or concerns, contact us. Please note that every case and claim is different. Each case and claim must be evaluated on its own merits and past settlements or verdicts do not predict the future result of any specific case or claim. This website is not intended to give legal advice - you must retain an attorney to receive legal advice regarding the specifics of your situation. No attorney-client relationship is created by viewing this website or ordering any material available on this site. No confidential information should be forwarded until a written retainer agreement is signed. We only give legal advice to our clients after they have signed a written retainer agreement. There is no procedure in Virginia for approving certifying organizations such as the National Board of Trial Advocacy.